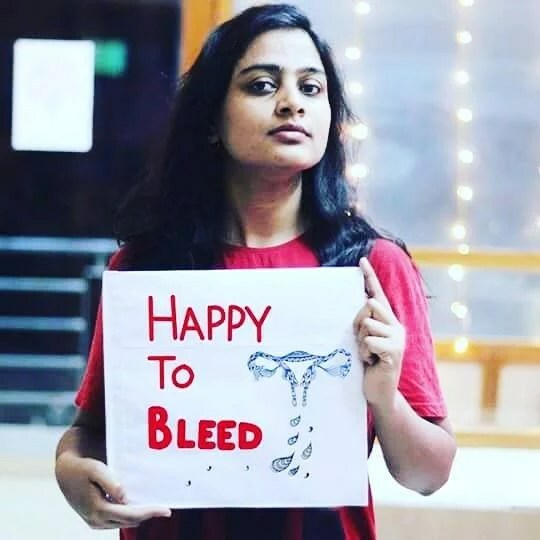 NEW DELHI: Following a controversial statement that women will be allowed to enter the famous Sabarimala temple in Kerala only after a machine to “check the purity of women” is invented, outraged women across India have launched a Happy To Bleed “counter campaign” on Facebook to protest against menstrual taboos and sexism of the temple authorities. “Devaswom chief of Sabrimala temple, Kerala has given a sexist statement that once purity checking machines are invented, that check whether it is “right time” or not, (whether women are menstruating or not) are invented, he will think about letting women enter. By this statement, he has reinforced misogyny and strengthened myths that revolve around women,” the statement posted on the Happy To Bleed page says. Happy To Bleed already has nearly 100 confirmed participants while 500 more have been invited. “I’m definitely ‪#‎HappytoBleed all over patriarchy. More power to all equal rights movements!” a woman posted on its page. Earlier this month, the Sabarimala temple authorities, when asked about allowing women to enter the shrine, said that can only be done once a machine that scans menstruating women – “just like the ones that check for weapons” – is invented. “A time will come when people will ask if all women should be disallowed from entering the temple throughout the year. These days there are machines that can scan bodies and check for weapons. There will be a day when a machine is invented to scan if it is the ‘right time’ for a woman to enter the temple. When that machine is invented, we will talk about letting women inside,” Prayar Gopalakrishnan, who recently took charge as Devaswom Board President, told reporters at the Kollam Press Club.